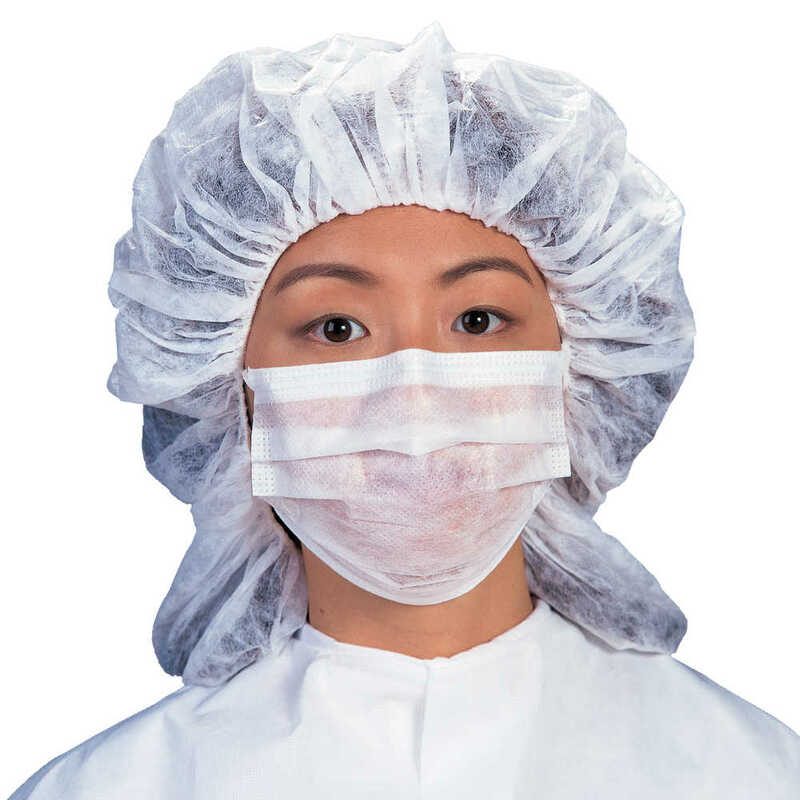 Kimtech Pure M6 Pleat-Style Face Masks with Knitted Ear Loops are a smart piece of personal protective equipment (PPE) for your ISO Class 6 and higher cleanroom environment. They have a two-layer design, with a polyethylene film outer layer that provides protection from contamination and the inner-facing Bicosof fabric provides comfort. The pleat-style masks have knitted ear loops and a fully enclosed bendable nosepiece. They offer good breathability for employee comfort. These double bagged face masks are popular for a variety of environments, including those for semiconductors, disk drives, data storage and integrated circuits.